In a bygone era when passenger ships were the preferred mode of transport for world travellers, Fremantle was the western gateway to Australia. Millions of migrants arrived by ship and many made the area their home. Jet travel changed Fremantle’s prominence as a destination but the port city was rejuvenated when it became the centre of world attention during the Australian defence of the America's Cup in 1987. Fremantle today retains much of its old charm: its situation at the mouth of the Swan River, its picturesque old buildings, its cultural diversity and what its long time residents still call the Fremantle feeling. This sets it apart from the capital, Perth. 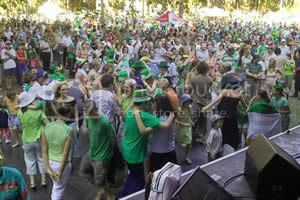 The feeling comes upon you when you cross the bridge over the Swan River from the northern suburbs, pass historic Cantonment Hill from the east or (ideally) drift down river from Perth in a pleasure boat. 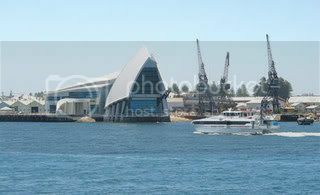 Fremantle is a working port, host to a big fishing fleet as well as container ships and the occasional large cruise vessel. It maintains a vibrant commercial life and is a desirable tourist destination. It has, however, retained its cosmopolitan nature and preserved its identity, largely through the good sense and dedication of its modern-day civic managers. A special feature of Fremantle is its maritime atmosphere and this can be best appreciated on a stroll around the Fishing Boat Harbour. This is a working harbour all year round and you may see fresh seafood being unloaded from the fishing boats ready for export or local despatch. There are many waterfront restaurants in Fishing Boat Harbour with spectacular views over the Indian Ocean out to Rottnest and beyond. The atmosphere is similar to San Francisco’s Fisherman’s Wharf, with cuisine catering for all tastes - Italian influences feature heavily, and, of course, the taste of freshly caught and cooked seafood should not be missed. 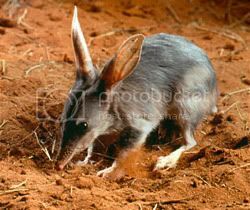 The Bilbys (Bilbies ?) really are adorable animals. I might have to smuggle me one home someday so Fernando doesn't feel so freakish looking lol. CROCODILE Hunter Steve Irwin built his Queensland zoo show the world his love of animals - now the Dalai Lama will use it to promote kindness to all creatures. Australia Zoo's 5000-seat Crocoseum will become the stage for the 14th Dalai Lama to launch the start of Kindness Week later this year, as part of his 2007 Australia Tour. Kindness Week, which runs from June 13-19, is a major initiative by Karuna Hospice Services - Australia's only Buddhist hospice - which provides comfort and quality of life for people who are dying and their families. It is designed to promote compassion for all living things. Over the years, Australia Zoo - on Queensland's Sunshine Coast - has fostered a long-standing relationship with the Dalai Lama in Dharamsala, India, with both sharing a similar philosophy for wildlife and conservation. During his visit to the zoo, the Dalai Lama will share this philosophy with visitors through a short talk on kindness and animal conservation. The Dalai Lama's Australian tour takes the spiritual leader to a number of cities around the country, starting with a forum in Perth on June 6. He also will visit Bendigo, Canberra, Brisbane and Sydney. The Little Penguin, also known as the Fairy Penguin or Blue Penguin, is the smallest of the 18 penguin species and the only penguin to breed in Australia. Despite being only 13 inches tall, the Little Penguin is adventurous and a young bird can travel distances of over 600 miles in the first year of its life.The Little Penguin cannot fly in the air but has been said to ‘fly’ through the water. 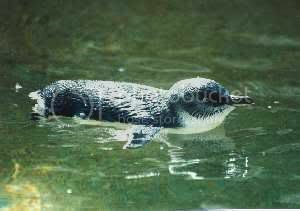 It uses its small wings or flippers to glide through the water at speeds of up to 4 miles per hour.The Little Penguin is covered in short stiff feathers, almost like scales, which are a blue-grey colour on their back and white on its belly. This type of colouring is called ‘countershading’ and camouflages the penguin while in the water - from above it blends with the surface colour of the water, while from below it blends with the light entering from above. A layer of down feathers insulate the Little Penguin from the cold. It secretes an oily liquid from the base of it’s tail which is rubbed over the feathers to help keep them waterproof. Its small legs are low on the body so they can be used as a rudder in the water or to walk upright on land where it waddles awkwardly. The Little Penguin has webbed feet and long toenails. It communicates with high pitched yapping ‘barks’ and becomes quite noisy when it leaves the water to roost or during fishing.The Little Penguin has a life expectancy of around 6½ years, but some survive for over 20 years. Every year the Little Penguin fattens up and then retreats to its burrow to moult. It takes about two weeks to moult its old feathers and grow new ones. 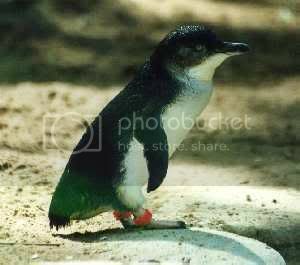 It cannot feed in the sea during this moulting phase.The Little Penguin lives along the coast of southern Australia, including Tasmania and New Zealand. Major colonies occur on islands, sometimes with 40 000 Little Penguins on one island. Although needing the shore to roost each evening, the Little Penguin may travel 12 miles off shore to feed. It is the only penguin to wait until after dark to come ashore and form groups before waddling across the sand dunes to roost in rock crevices or burrows lined with plant matter.The Little Penguin eats mainly fish and squid, sometimes diving deeper than 100 feet to catch its food. Ashore, the Little Penguin is vulnerable to attack by foxes, dogs and cats, whereas in the water it is on the menu for sharks, fur seals and sea lions. By keeping in groups the Little Penguin lessens the threat from predators. Hmmmm note to self...also smuggle out a fairy penguin. SOoo cute. I LOVE the Dalai Lama! 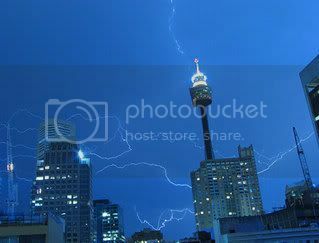 I wish I could be there!!!!! Hey Seamonkey you are going to have to build an ark to carry all these animals you plan to take home to America with you. BT it would be a very inspiring talk. He is such a compassionate and peaceful person. I think I could spend hours in this thread just dreaming of visiting all these places. It's almost as good as being there. You have no idea how much I have enjoyed this, I just come here and read and look at the pictures over and over. Then I sculpted a caricature of my chihuahua and it came out looking somewhat like that bilby, then again, Fernando really does look like one , except he is white with sable spots, lol I need to get his picture on here to show you the resemblance. Lala'sMom I am glad you get so much pleasure from these pages. You cannot imagine how much enjoyment and fun I get from presenting them. Makes me feel more a part of SM and also that I can contribute something for the Monkeys who are working so hard for Natalee and her family. Seamonkey Looking forward to photos of Fernando, and also the Penguin dolls when you make them. They would be cute. 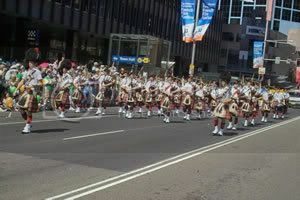 Photos taken at last year's parade in Sydney. Looks like a great time was had by all. 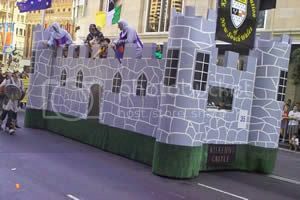 Oh, and do does America have a Bachelor quest on your St Patrick's day celebrations? Sounds like a good idea. 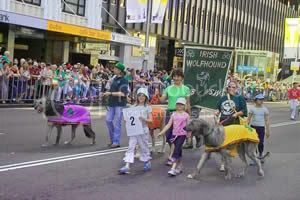 This is the fourth year that the Sydney St Patrick’s Day Parade Org Inc has held the St Patrick’s Day Bachelor of the Year but it is fast becoming a not to be missed event in the lead up to St Patrick’s Day. 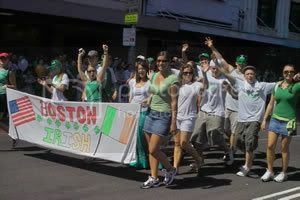 The Organising committee has been busy scouring the suburbs of Sydney in search of 12 fine lads of Irish heritage. On the night, the lads will perform their special cabaret talent not only for the judges but also in front of a live audience of 300 people. 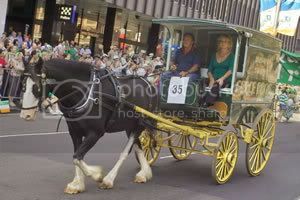 As well as the adulation of Sydney’s Irish community, 2007’s Bachelor will win a travel voucher to the value of $1,500. First produced in 1948 and adapted from an American design the Holden Model 48-215 was built almost entirely in Australia. 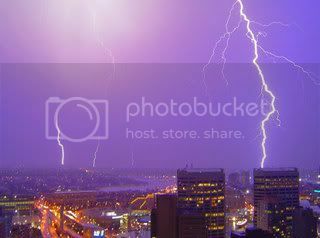 Page created in 6.313 seconds with 20 queries.